A new workshop in New York City. I love The Open Center. It’s the first place I taught, several years ago, and it is warm and wonderful, full of spiritual crunchiness, an oasis of calm in the bustling city. Julia Cameron teaches there too (in fact, our workshops are cheek-by-cheek in the catalog, a real thrill for a long time fan of The Artist’s Way). 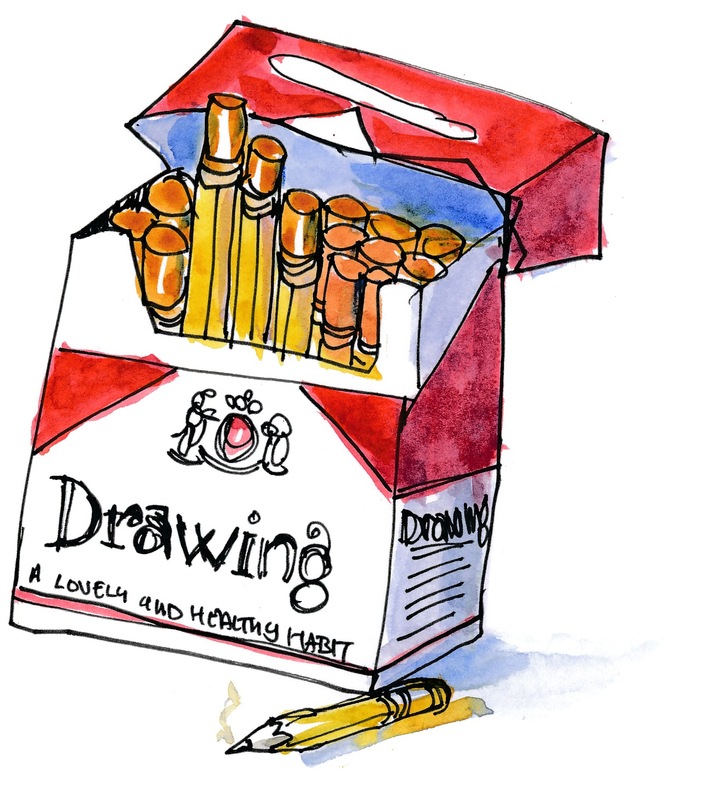 I’ll be leading a one-day workshop there on Saturday, April 5th, a sort of introduction to the whole idea of illustrated journaling, with lots of slides and talking, and some hands-on drawing and making of the first pages in your journal. If you would like to join me, there is an early bird discount for those who sign up by March 20th. Having attended your previous workshop at the Open Center a number of years ago, I can attest to how sensational this new workshop will be. Wish I could be there again but I already have a commitment. Enjoy being back in NYC! Thanks, Seth. It was great having you in the class! Danny, will you be teaching workshops in the San Francisco Bay Area? 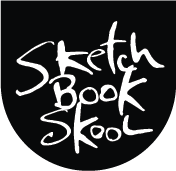 Well, my klass on sketchbookskool.com is available to any and all computers in the SF area! No concrete plans to teach there in person yet, however. Stay tuned! I loved that workshop. I only got to attend half of the meetings as my daughter needed surgery. (She is fine) You put so much on the Internet with the class, I got to participate even though I was far away. Since the Fall of 2009 I have been traveling slowly about the country in a 29 foot motorhome and trying to keep on filling up sketchbooks. You were an inspiration. I like to tell people about the Obama Post-it Note masterpiece. Looking forward to the online class starting in April. Peg: You’re living the dream! Danny, this sounds great! As someone who has never been to NYC can you recommend a place to stay? I live near Rochester so it’s that far. Thanks! Oh my Giddy Aunt!!! Now don’t get me wrong Mr Gregory, I’m a big admirer of your work, energy and writing. You inspire! But when you said you teach in the same building as Julia Cameron and indeed, sit beside her on the catalog, well, I almost grabbed Mr Visa and coerced him into assisting me to manage a foray to the Open Center!! I think The Artist’s Way kept my sanity (or almost) during a time when Insanity wanted his way with me. And it still keeps me going (even though I currently have only a measley one or two visit my blog each day!). You and Julia really ought to grace a rainy UK sometime and indulge us with some of your colour and contagious enthusiasm. Hubby and I signed up for the workshop yesterday. We’re just a couple of old retired people who have gotten into art journaling. I’ve read a couple of your books and have been in the FaceBook group for a year so I’m really looking forward to hearing you in person.